This Situation Update describes events that occurred in Kyainseikgyi and Kawkareik townships, Dooplaya District between January and March 2018. It includes information on refugee repatriation, development, Tatmadaw military activities, health and education. At the beginning of 2018, additional housing was built for repatriated refugees in Kyainseikgyi and Kawkareik Townships. However, many refugees are worried about the risk of conflict in Dooplaya District. Tatmadaw military activities have increased in Kyainseikgyi and Kawkareik Townships. Tatmadaw troops entered into territory controlled by the Karen National Liberation Army (KNLA). They built many helicopter landing pads for their army camps in Dooplaya District. The following Situation Update was received by KHRG in March 2018. It was written by a community member in Dooplaya District who has been trained by KHRG to monitor human rights conditions. It is presented below translated exactly as originally written, save for minor edits for clarity and security. This report was received along with other information from Dooplaya District, including six interviews and 32 photographs. This Situation Update describes the events that occurred in Dooplaya District at the beginning of 2018. It offers an insight into refugee repatriation, development, Tatmadaw military activities, health and education. At the beginning of 2018, additional housing was built for repatriated refugees in Htee T’Blu village and Noh Maw Poo village, Noh T’Kaw [Kyainseikgyi] Township, Dooplaya District. In each village, 50 additional houses were built [to accommodate returnee families]. 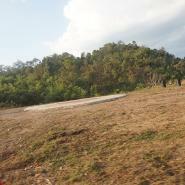 Additional housing [for returnee families] is also being built in Taw Naw Muh Htaw area, Kaw T’Ree [Kawkareik] Township. Once construction is completed, refugees are expected to return [to this area]. However, many refugees continue to monitor the political and security situation before making the decision to relocate to this area. If the risk of conflict is high, refugee repatriation will be delayed. 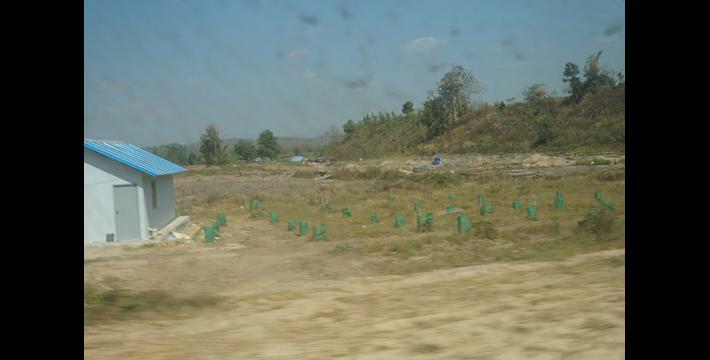 At the beginning of 2018, the Burma/Myanmar government began building a road in Noh T’Kaw and Kruh Tuh townships, as requested by the local community. This road construction is ongoing. In 2018, Tatmadaw military activities increased in Dooplaya District. Tatmadaw soldiers have been patrolling in many areas. They have also entered into areas controlled by the Karen National Liberation Army [KNLA]. However, tensions did not escalate. The Tatmadaw units that are based on the Thai-Myanmar border have strengthened their army camps. They also built a helicopter landing pad. 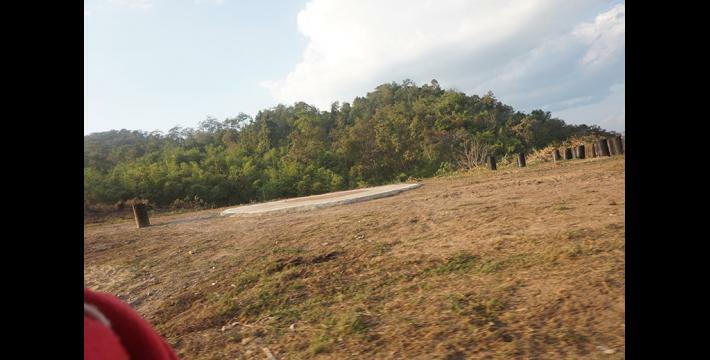 Local people reported that the Tatmadaw built helicopter landing pads in their army camp on the hill next to Ka Lee Hkee village and Kyaw Hta [A’zin] village in Kyainseikgyi Township. The Tatmadaw also built helicopter landing pads in other military camps, including Yay Th’Law camp, Th’waw Thaw camp, Hsoh K’Lee camp, Maw Tuh camp, Aoo Kray Hta camp, Htee Ther Leh camp, Ghaw Lay camp, Maw Hkee camp and Htee K’pler camp. These camps are located in Kawkareik Township. The health care department in Noh Hpoh refugee camp has diagnosed several cases of elephantiasis caused by lymphathic filariasis. Health workers in Noh Hpoh refugee camp diagnosed this illness in refugees who live in the camp by using blood tests. [To fight this disease,] they tested the blood of the entire refugee camp, and offered vaccinations to everyone except pregnant women, young children and patients with chronic illnesses. On 26th February 2018, more than ten people were diagnosed with lymphatic filariasis. Health workers also offered a vaccination to people in Dooplaya District, [as part of an immunisation campaign against lymphatic filariasis]. They vaccinated people without testing their blood. Access to education has improved in Taw Naw Muh Htaw, Kawkareik Township. Children in almost every village have the opportunity to attend school. In Hsoh K’Lee village, the school has qualified teachers, adequate infrastructure and the necessary [educational] supplies. The school has the capacity to educate a thousand students. At present, only 80 children are attending the school in Hsoh K’lee village. 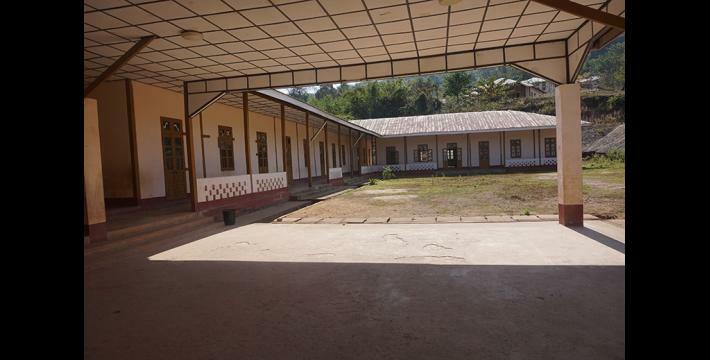 In other villages, the school buildings needed to be enlarged because they cannot accommodate all of the students in attendance. 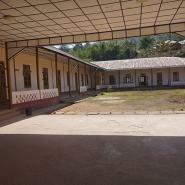 According to the local community, the school in Hsoh K’Lee village has a limited number of students because it is under the control of the Burma/Myanmar [Ministry of Education]. [Local villagers believe that] more students would attend the school in Hsoh K’Lee village if the school committee could build trust and good relations with the community. In early 2018, some notable changes occurred in Dooplaya District. 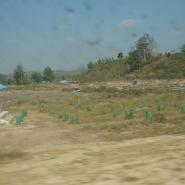 The Burma/Myanmar government is building housing to accommodate the repatriation of refugee families. However, many refugees remain worried about the risk of conflict escalating. Local communities are encouraged by socio-economic development in their area. However, there is a feeling of unease because of the increase in Tatmadaw military activities.